Pretty much all of us have heard of the yeast Candida albicans, but what do you know about Malassezia pachydermatis? Both yeasts are part of every dog’s’ normal microflora and usually stay pretty chill but when they get out of control they turn downright villainous. Most pet owners know that their pooch automatically comes with Candida in its body and that it can cause some pretty wicked problems if their dog develops candidiasis — which is a given with an immunosuppressed dog. Not so many know that Fido also came pre-packaged with Malassezia on its skin (an arguably worse yeast when it causes an infection — which happens to most dogs with Demodex). When the inevitable yeast infection happens (which often triggers a bacterial infection) the dog then has MIS. In order to do its dirty work, MIS only needs a dog to have two concurrent infections. The most common MIS culprits are bacterial, viral, yeast, or parasite infections. (Shocker!) So essentially, every dog with mange has MIS and a much steeper hole to climb out of. For decades, vet schools have been teaching that there is only one infection at a time which isn’t always right. 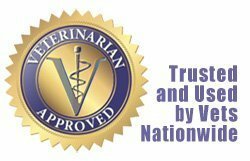 In truth, a pet may be suffering from multiple infections. The misdiagnosis leads to the ineffective practice of treating one problem at a time while the patient continues to suffer. It’s likely one of the reasons that their success rate for long-term resolution is so poor. Holistic healing means working on the big picture. If a caregiver doesn’t consider the possibility of multiple, often invisible infections and simply treats one problem, that innocent oversight can extend healing or prevent recovery altogether. Malassezia pachydermatis is a fungal yeast that, like Demodex mites, does the host no benefit or harm. Also just like Demodex mites, Malassezia is immune system related. If something upsets the immune balance, the fungus seizes the chance to reproduce unchecked. Not surprisingly, in one study, the majority of dogs with demodicosis tested positive for Malassezia infection. Not only does the poor dog have mange and a raging yeast infection, it probably has an earache. Malassezia yeast is responsible for almost all ear infections. Mange and ear infections aside, any age, breed, or gender can be affected by Malassezia, but certain breeds are predisposed to infection. Higher risk breeds include the Shih Tzu, Lhasa Apso, Cocker Spaniel, Jack Russell Terrier, Poodle, West Highland White Terrier, Shetland Sheepdog, Labrador Retriever, Chihuahua, Maltese, Basset Hound, German Shepherd, Dachshund, Springer Spaniel and Golden Retriever. Symptoms – Malassezia loves to congregate in the ear canal, ear flaps & folds, wrinkly and moist skin areas, under nailbeds, in between foot pads and toes, and other moist areas. Nearly every dog suffers a Malassezia infection at least once in their lifetime. You might not realize that’s what the problem is because many of its symptoms aren’t necessarily top-of-mind as being related to yeast. Treatment – As with all yeast infections, Malassezia must be attacked internally and externally. Even if only one area shows signs of an infection, I recommend pulling out all the stops to eliminate this aggressive pathogen before the infection spreads. These measures apply to both Malassezia and Candida. Treat the skin with a special medicated anti-fungal shampoo meant for Malassezia. 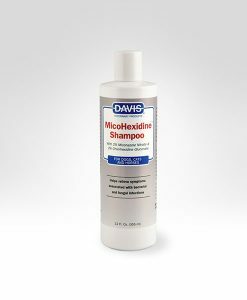 Fourteen studies have proven that antifungal shampoos containing 2% miconazole nitrate & 2% chlorhexidine gluconate are incrementally more effective against Malassezia than other blends. Ours has that exact formulation and is excellent. It may be the single most important part of the quick resolution for body yeast. We recommend using this shampoo twice a week for 3 weeks, then dropping down to once a week. 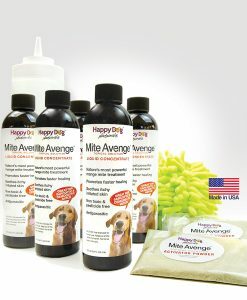 If you’re also using Mite Avenge, bathe on non-treatment days. Sterilize the skin daily diluted povidone iodine (twice daily when severe symptoms are present). Here’s how. Be sure to dunk those paws and wipe out the ears outside and inside (as far as a large cotton ball will go). Balance and heal the gut. Dog-specific probiotics are probably the most vital supplement because rebalancing the gut flora is the baseline for recovery. Digestive enzymes, prebiotics, clean salmon oil, and 4-Whey Pet Health Builder help heal the gut and encourage faster replenishment of the good guy flora. Provide the best diet you possibly can. Cut out sugars entirely and drastically reduce carbohydrates. Yeast can only thrive if there is sugar present as an energy source. This is difficult if your dog is on a dry kibble diet as most kibble is full of carbohydrates. 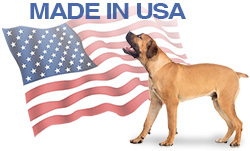 Even grain-free kibble as they replace grain with other starches which are carbohydrates. The ideal way to avoid sugar and carbohydrates is to feed a raw or homemade sugar-free, low glycemic diet. However, if that’s not realistic, this blog post provides guidance and tips for choosing a commercial dog food. Your dog will also benefit from small amounts of fresh oregano, freshly chopped garlic, apple cider vinegar or baking soda in the water, oregano oil, and coconut oil as well as anti-yeast and detox supplements like grapefruit seed extract, oil of oregano, neem leaf powder, pau d’arco, and echinacea to name a few. Flush and de-yeast the ears. This post explains how to do it perfectly. Stay tuned! Next week’s newsletter will talk about the fourth kind of mange. Yes —there really are 4 kinds of mange! And guess what? Malassezia is part of it. It is totally treatable on your own and we’ll cover its symptoms, treatment, and prevention. Don’t miss it! This antifungal shampoo is effective for ringworm, yeast & bacterial infections, dermatitis, & demodectic mange. Helps reduce itching, odors, irritated skin, greasiness, hair loss, scaly skin, inflammation, paw infections, hair loss, chronic ear infection. 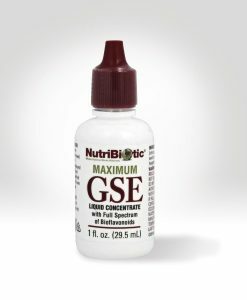 Nutribiotic Maximum GSE with Citricidal® is the powerhouse yeast and infection fighter for dogs with Demodectic mange. This is 400% stronger than regular grapefruit seed extract to help beat yeast and heal faster. This entry was posted in Demodectic Mange, Immune Support, Mange Tips & Tricks, Skin & Coat, Uncategorized. Bookmark the permalink.